Ai Celebrated her nth birthday last Saturday and she decided to treat us for lunch the Monday after. 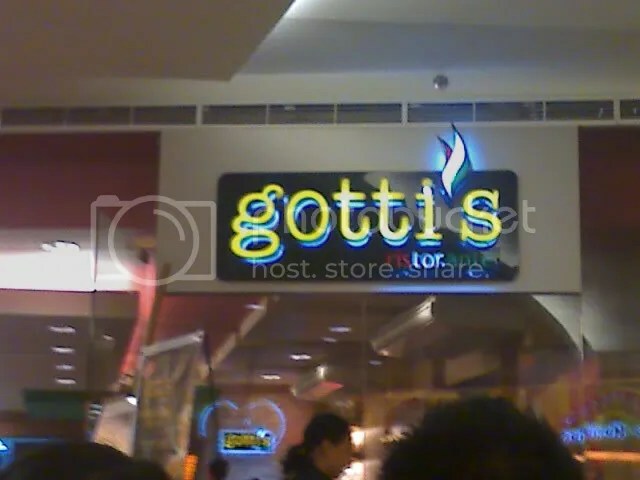 Se wanted Italian and so we ate at Gotti’s Ristorante at SM Mega Atrium so Irish, Wazer, Marjun, Bubuy, Ai, Elouise, Joms and I went there for lunch. The place was not crowded that time and we were accommodated quickly by the crew. We decided to order 2 pizzas, The Godfather and Mi Mama’s Quattro Formaggi. 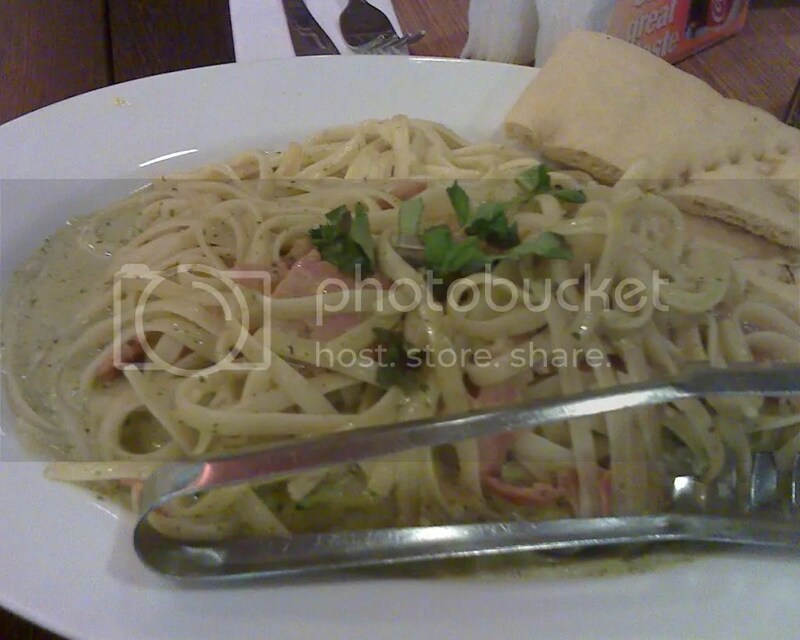 For the pasta, we ordered Creamy Basil Bacon, Grilled Chicken Pesto and Shrimp ala Pobre. The pastas were served first. They were all Italian and is different from the pasta’s we get to eat at Filipino restaurants. The Creamy Basil and Bacon was their recommended pasta for the White Sauce. It comes with a slice of bread with rosemary on it. The pasta has bits of bacon topped with white sauce and some basil on top. We all shared the pasta and it was good. The bacon complements the creaminess of the sauce and so does the basil. It was also good eaten together with the bread. Also, additional Parmesan cheese is great with it. 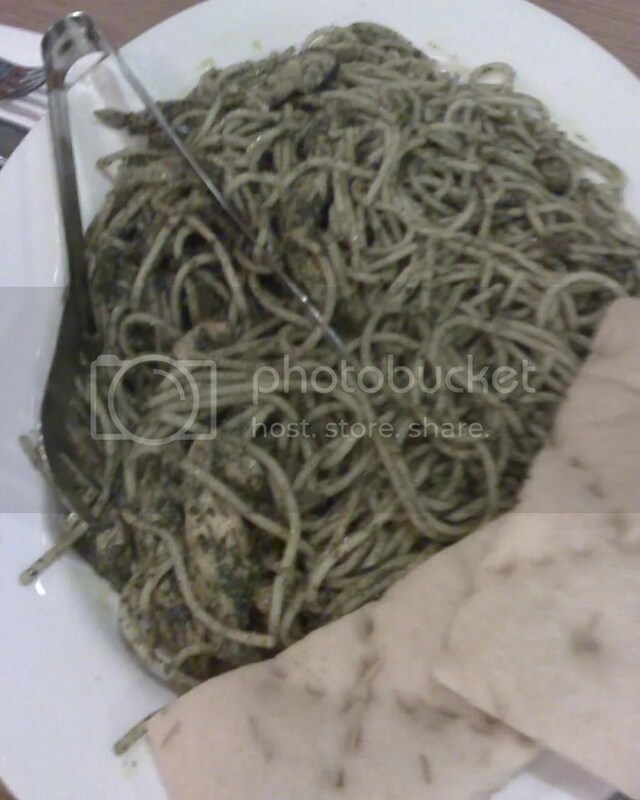 Grilled Chicken Pesto was their recommended dish for the Specialty Sauce Pastas. It was also served with a bread on the side. The pesto sauce was good. a nice balance of the herbs and oil in it. It is also good with the grilled chicken. The chicken was almost covered with the sauce that you couldn’t barely recognize it but it was good with the pasta and the pesto sauce. The Shrimp ala Pobre was the recommended dish for the Red Sauce. Like the other two, it also comes with a bread on the side. 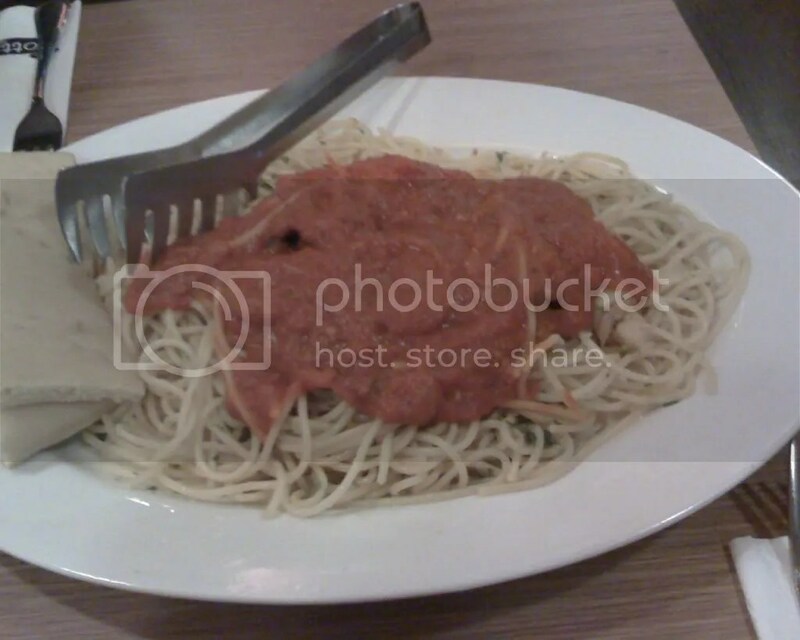 The pasta has shrimps and topped with a red sauce. It was also good combination together with the pasta. The sauce was not that sour and you could also add extra cheese if you like. The pizzas were also good. We get to have a slice per flavor that we ordered. 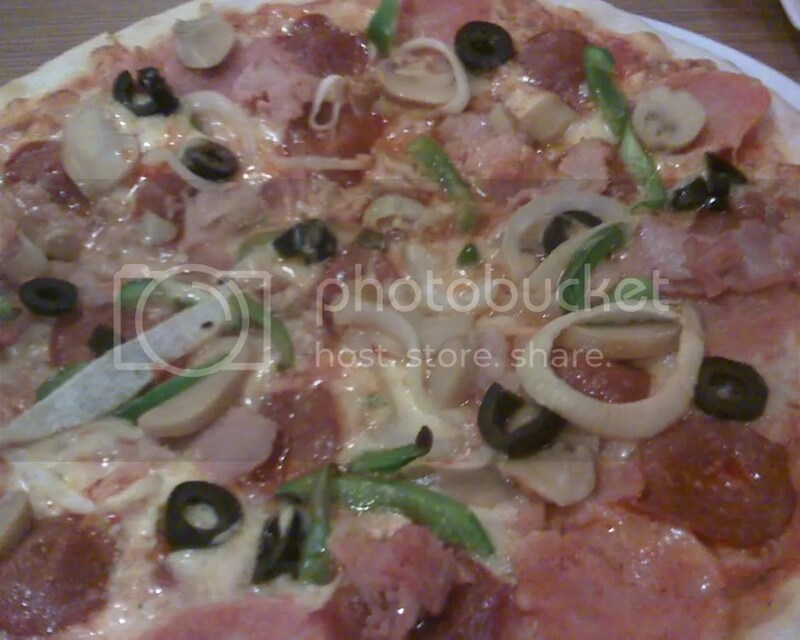 The Godfather pizza was a combination of meat and vegetables. I like this because it has a mixture of flavors in each bite. The cheese also complements the other toppings on it. It was really good that’s why, I think, it was one of their recommended dishes. The Mi Mama’s Quattro Formaggi was an all cheese pizza. 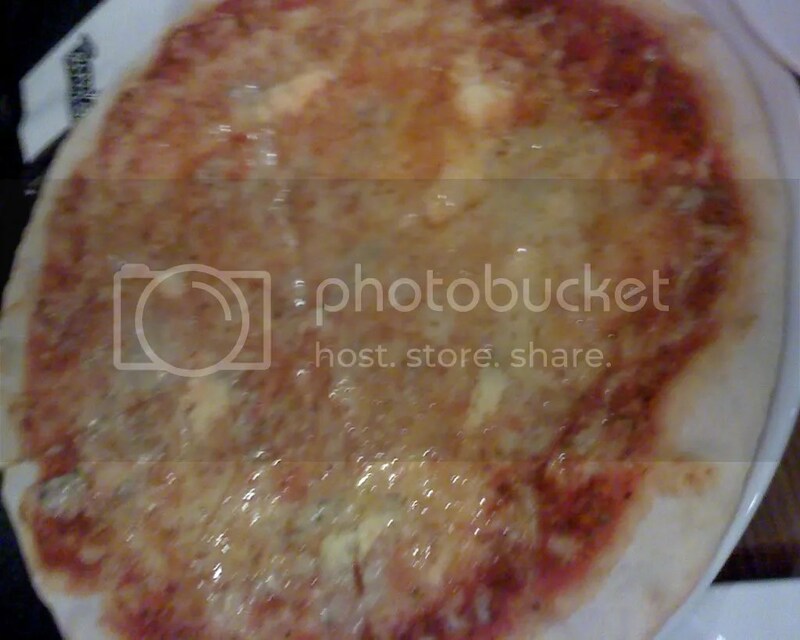 It has different kinds of cheese on top of a pizza crust. It was quite oily because of the melted cheese but the combination of different cheeses tastes good. It was also nice that we get to have only a slice of it since it is a bit salty as you go on finishing a slice. After the hearty meal Ai decided to treat us for dessert. 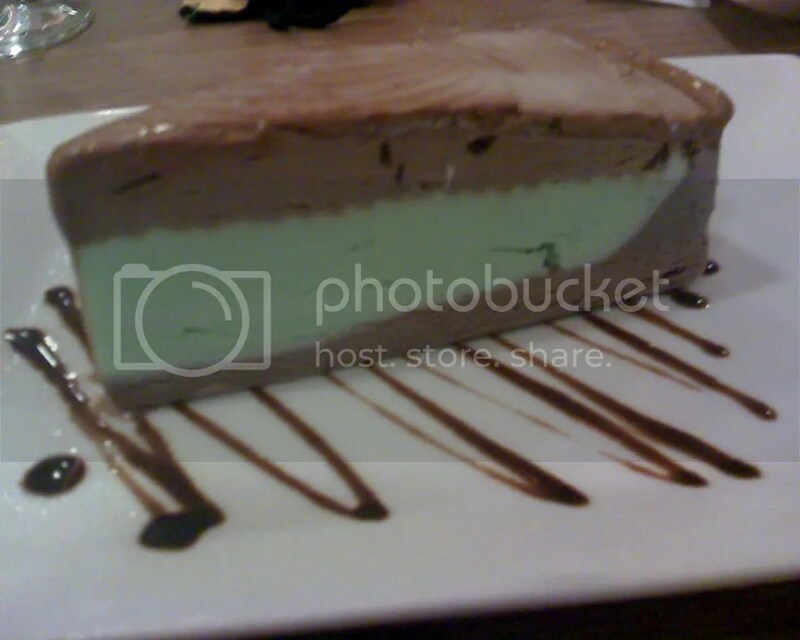 We ordered two plates of After Eight which is a mint chocolate gelato cake drizzled with chocolate syrup. It was a nice dessert to wash off our pallets. The mint flavor is refreshing and the sweetness of the chocolate complements it. I am not a fan of other flavors mixed with chocolate but this one doesn’t overpower the chocolate taste and it was good. We returned to work after the meal. Thanks Ai and Happy Birthday!